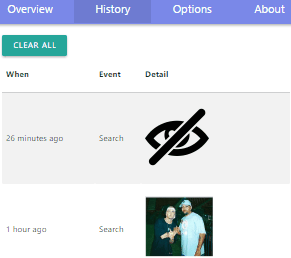 NooBox is a free Chrome extension to search by image from multiple search engines. With this Chrome extension, you can simply do a reverse image search of any image on a webpage and get results from multiple search engines like Google, Yandex, Bing, Baidu, Tineye, IQDB, and SauceNao. You can also upload images from your PC to perform a reverse image search. In addition to these features, it also lets you take a screenshot of a webpage and perform a reverse image search on it. What separates it out from other reverse image extensions for Chrome is that it lets you view image search results from multiple image search engines at the same place. So, this reverse image Chrome extension can surely help you in any kind of research work. Getting started with this Chrome extension to do a reverse image search is very simple and straightforward. Just download it from the link provided at the end of this review. After this Chrome extension is installed, you can find an option to reverse image search in the Chrome context menu. To do a reverse search of an image on a web page, you just have to right-click on an image and select NooBox > Search this image. 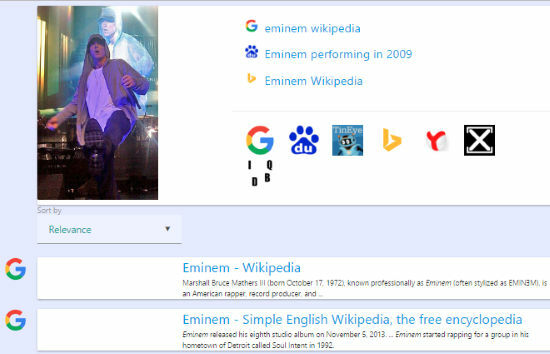 This Chrome extension will then display image search results in a new tab, and as I mentioned, you will see the image search results from Google, Bing, Tineye, etc on the same place. You can sort the results on the image search results page based on image height, width, and area. This Chrome extension can also extract images from a web page for you. For this, you have to simply select the Extract images option from the Chrome context menu. After that, you’ll see all images from that webpage in a pop-up dialog box, as shown in the screenshot below. You can also save the images from this pop-up dialog box. To capture a screenshot of the webpage and do a reverse image search on it, select the Screenshot option. After that, you will see two dots which you can move to capture a rectangular area of a web page and then click on the Search button. This Chrome extension will then display the screenshot search results in the new tab. You can also upload an image from PC to do a reverse image search. For this, click on its Chrome extension icon and click on the UPLOAD IMAGE button. This Chrome extension stores your recent image searches. You can see them from its History tab as shown in the screenshot below. 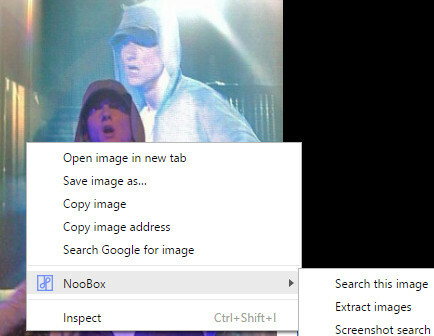 NooBox is a free Chrome extension to do reverse image searches in Chrome with ease. You can do a reverse search for any image on a webpage with just a single click. The best part is that it returns the image search results from multiple search engines like Google, Bing, Yandex, etc.